Can-One Bhd engages in manufacturing of metal and lithographed cans, plastic jerry cans, and packaging and distribution of dairy and non-dairy products. It operates through following segments: General Cans, Food Products, International Trading, and Property and Investment Holding. The General Cans segment includes manufacturing and distribution of lithographed tin cans, plastic jerry cans, flexi pack, and rigid pack. The Food Products segment offers manufacturing and distribution of foods products. The International Trading segment involves the trading of dairy products and raw materials. Firm’s Property and Investment Holding segment and Food Products segment account for majority revenue of the firm. 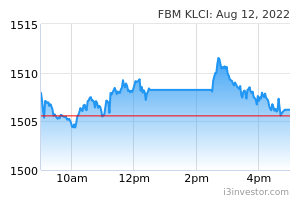 The firm generates a majority of its revenue from Malaysia region. Syndicates egm can pass or no pass? Yes ratio wise it may deteriorate such as gearing ratio, but common sense wise, what do you think ? lionel messi I suspect nothing will happen after the EGM as it will be rejected by most Canone shareholders. I don't think they want to be faced with a big rights issue to fund the MGO. The latest Edge weekly asked what is the endgame for Yeoh Jin Hoe (YJH) and Canone. Actually I think there is no endgame. YJH was just caught with his pants down with no intention whatsoever of doing a MGO. this is why SC fined him after finding out he tried to buy the 0.49% from Tan Kim Seng but did not announce a MGO. I think he still has no intention of doing a MGO and will abstain from voting at the EGM. KJoo shareholders need to hedge their bet. if the whole deal is rejected and aborted, the share price will plunge. they may want to sell some before the EGM. 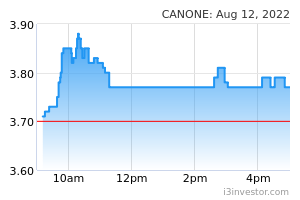 For Canone shareholders, it will be indifferent if rejected but will be negative if approved as they will need to cough up money for a big rights issue to partly fund the MGO. bsngpg Adjust number to make it a lost and not attractive so that more small investors lose faith and sell back to controlling shareholders. lcng123 They purposely making KianJoo result loss during the MGO. May be KianJoo will loss again in next quarter. Avalon One question: if Kian Joo is estimated at RM 3.10 per share, what is the value of Canone who is going to take over Kian Joo? bsngpg 3.08 is still quite high than my holding cost. Have to wait for much longer. Unless uncle comes back to push it up in rocket way. bsngpg Canone is in very good biz f&b, unfortunately, owned by no so good people. I bot it for its good biz and hope for the not good bosses to change to good. Just like those naive girl hoping for bad boyfriend to change to good. It is like "flower in mirror, moon in water". qqq3 Canone people is one of Malaysia's grand masters.....one of a rare breed. lionel messi Latest announcement says they already have more than 80% of KJoo. Now they will proceed to request for a delisting. It's not that their corporate governance is bad although on the surface it may appear so. It's just that they are savvy and hardball people who strikes a hard bargain. In order to beat people like that, you have to beat them at their own game. How? Buy their when prices are falling and when nobody is interested in the counter. Collect and do dollar cost averaging quietly and slowly. Give you a tip: when they propose a massive rights issue sometime in the future (which they must given the huge borrowings incurred in acquiring KJoo and their smallish capital base), their share price will likely fall sharply given the current market dislike for rights issue. That will be the opportunity to buy into the mother share or the renounced rights. what u mean by bad? no dividends? no transparency? inaccurate accounts?.......no such thing. qqq3 shareholders of KJ has also benefited from $ 2 to $ 3.
qqq3 now the present restructuring makes great sense. qqq3 mosquito successfully taken over the elephant at the best possible time. couple years ago, KYY was promoting Canone and price collapsed.....was it company fault that price collapsed and never reached his tp.....like Dayang? aluminium prices keep shooting up, Press Metal keep on making record profits.....the company stiill making money and they think now is the best time to move on KJ, even though they already control the management with 32%. much easier to consolidate the two operations after taking KJ private...no more accusations of favoring one over the other. Icon8888 RM4 ? RM5 ? RM6 ? lionel messi basically just undervalued, underpriced, under researched, under the radar and not understood by the market. a fundamentally deep value and sound company run by shrewd, savvy but cocky, quarrelsome. stubborn and hard ball people. suspect the price is being pushed up to get a higher price for an impending massive rights issue which is inevitable to pay for the KJoo acquisition. be aware, a huge rights is coming very soon, at least in the ratio of 1 for 1 or 2 for 1. but there will be sweeteners in the form of bonus issue and/or free warrants. their balance sheet is strong enough to afford the sweeteners. lionel messi no, they never had a rights issue before. purely used bank borrowings to acquire the first KJOO block. from Kuwait Finance. pharker They just stole a valuable asset at a deep discounted price, hence valuation up and price begin to move up. Forget about the gearing issue if their cash flow is able to service the debt, it is only a ratio on paper to scare the financial analyst. Imagine if I have to borrow RM100 from the bank to acquire an asset at a discounted price of RM100 but which is worth RM200, and provided I can also service my bank borrowings with my income stream. am i better or worst off ?? Thats why Canone shares start to move up now...quick before its too expensive..anything below RM4 is a good buy. pharker if i dont accept the offer, what type of future do i have owning a delisted securities which cannot be traded in the open market ?? Just like if i own a house worth RM2 million, now you offer to buy from me at RM1 million, but if i don't sell to you now at RM1 million, LATER when you offer lapsed YES I still own the house but i cannot sell it in the open market anymore.. Non liquid securities..have you owned one before my friend ?? pharker regardless, for those KJ minority holders who may feel unfair in the deal, just use the proceeds you got to buy canone shares lo. Kyou @Icon8888 sifu, may i know what cost of Canone u hold?